Out of the Quicksand: "I Spent Midnight with The Monster on Bald Mountain!" "I Spent Midnight with The Monster on Bald Mountain!" It’s the first day of October, time to kick things in to high gear! I was trying like crazy to get reviews done of DC’s Mysteries in Space Fireside anthology and Rocket Raccoon’s 1985 mini-series before September ended, but everything just kept holding me back. Rest assured though, unlike last year, November and December will be very busy months (especially the former). Besides, after covering Green Lantern, Captain Mar-Vell, Guardians of the Galaxy and Fantastic Four, it’ll be nice to post something not related to space for the first time in months! 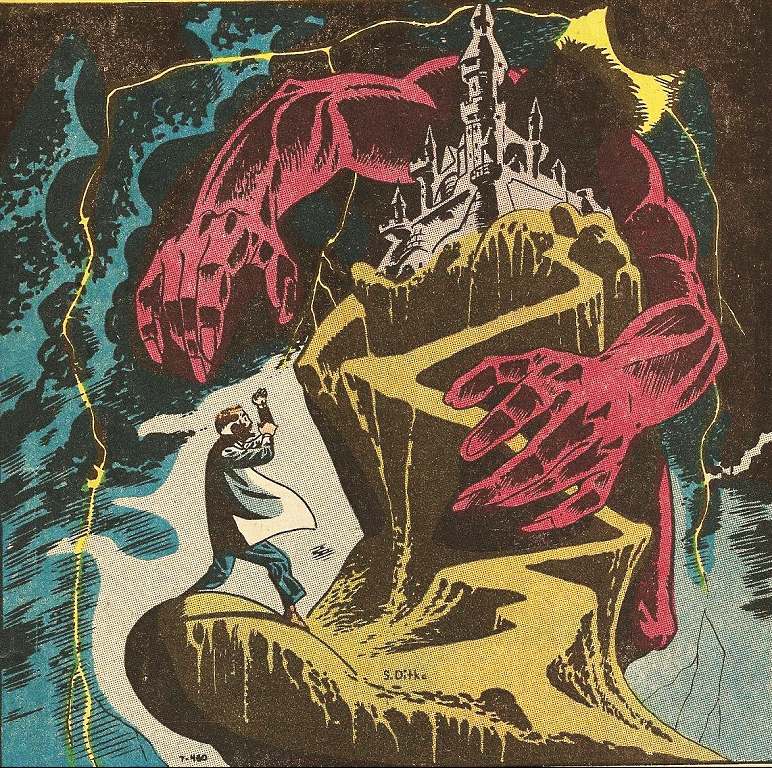 From 1959, here’s “I Spent Midnight with the Monster on Bald Mountain” from Tales to Astonish #7 (originally entitled “I Spent Midnight with the Thing on Bald Mountain”). All © Marvel. Enjoy! This isn’t the last of Ditko we’ll see this month. Off-topic, but will you be doing another How'd It Get Burned anytime soon? I don't know if I can work it into that format, but I will be doing a review of the 1999 movie Virus in comparison to the Dark Horse limited series that inspired it. Rest assured that the next time I do a How'd It Get Burned, it will be BIG. And may possibly involve pictures of the blue, disembodied plastic head of Jamie Foxx, in the most precarious of public locations.